For further information on this vulnerability, see Out-of-Band Critical Update MS08-067 and, for goodness sakes, if you haven't updated yet, please do so now! As my contribution to Cyber Security Awareness Month, I have been providing a new "tip of the day". Friends at Freedomlist and LandzDown forums provided some excellent tips that I shared. This "roundup" post provides the opportunity to extend my grateful appreciation to them for their contributions. A lot of information has been included this month on how to "Protect Yourself Before You Connect Yourself" by taking simple and effective steps. The information has been provided not only by me and my forum friends but also by educational, security and private organizations. To review the collection of tips provided this month at Security Garden, just click this link: Cyber Security Awareness Tip of the Day. In addition to the tips provided by SANS and US-CERT, I thought you might enjoy the tips from Who's Watching Charlottesville even though they didn't seem to catch on that October has 31 days. Disclosed by: Liu Die Yu of the TopsecTianRongXin research lab." From Certified Bug, I see that Opera also has a security update, with Advisory 906, labeled "Extremely Severe" and Advisory 907 as "Highly Severe". If you use Opera, update to Version 9.62. Following up on the recent news that ICANN was removing EstDomains from the list of ICANN-accredited registrars, I learned that ICANN received a response from EstDomains regarding the notice of termination. As a result, ICANN has stayed the termination process while the claims submitted by EstDomains are reviewed. Buy a locking cable for your laptop. The cables are available for purchase at the bookstore, through Case Protective Services, or online. Don't keep sensitive data on a laptop. Instead, keep it on a central or department file server, and wipe your disk free space after you delete working copies from the hard drive. Back up data on a regular cycle, and practice recovery from backup"
The complete article is available at "Case offers tips, programs during Cyber Security Awareness Month"
From Tom Warren of Neowin, posted a fun video demonstrating different applications on the surface units: Microsoft Surfaces at PDC. I thought the video was more interesting than a Microsoft professional presentation because it illustrated how easy the Microsoft Surfaces appears to be to use. Long Zheng has a lot more at I Started Something. The best way to locate all of the material Paul Thurrott has provided at the SuperSite for Windows is to click on the Windows 7 tab. Paul has accumulated a wealth of material already. Microsoft Research Senior Vice President Rick Rashid details new development tools and innovations, including tiny sensors used to regulate energy consumption, and SecondLight, a new rear-projection Surface technology. I was excited because the Keynotes were scheduled during my lunch break here in the Eastern Time Zone. Unfortunately, live streaming is apparently blocked by the Corporate firewall. Fortunately, I was able to get a taste of what was going on thanks to the "All-Star Bloggers" (listed below). If you follow Microsoft products and development, I expect they are on your "must read" list. Thank you, Guys and Mary-Jo! "This is really good news. Mikko Hyppönen has a good writeup at the F-Secure blog." As parents and other adults in a position of influence with children, we teach our children to follow the "Golden Rule" -- treat others as you would like to be treated. Due to a feeling of anonymity sitting at a keyboard, both adults and children alike often forget about the "Golden Rule". Cyber Ethics is treating others online as you would like to be treated. Teach your children proper Cyber Ethics. Everyone needs to remember that words typed on the computer and post online can be more damaging than spoken words. You can apoligize for spoken words and in time the hurt will be forgotten. Written words, even though an apology is rendered, remain as a record for all to see. They attract a much larger audience than a traditional person-to-person confrontation. The Microsoft Windows 7 home page is now live: Windows 7. In addition, the primary team blog site for information on Windows Vista and Windows Experience is now a three-pronged team site. The Windows Team Blog which includes the Windows Vista Team Blog, the Windows Experience Blog and the new Windows 7 Team Blog. All 3 of these blogs also have distinct purposes. As you can expect – the Windows Vista Team Blog will continue to talk about all-things Windows Vista and the Windows 7 Team Blog will talk about all-things Windows 7 as we move forward. The Windows Experience Blog, which is written by me, will continue to talk about anything related to the cool and interesting Windows experiences people can have with Windows. The focus of the 2 “Team” blogs is to deliver important news and announcements we think are important to you as a consumer and as a Windows enthusiast in a more personable way. Real people (like me and Mike Nash) write these blog posts. Edit Note: Additional links added. At Day 2 of Professional Developers Conference 2008 (PDC2008), Ray Ozzie and others preview the newest technologies designed to “bring the best of the Web to Windows, and the best of Windows to the Web." When purchasing a cell phone, PDA or computer accessories like keyboards, mice and other peripherals, many people look for models that are Bluetooth enabled. Bluetooth is a method of wireless networking these devices without wires or cables. Protect yourself before you connect your Bluetooth devices. "How can you protect yourself? Disable Bluetooth when you are not using it - Unless you are actively transferring information from one device to another, disable the technology to prevent unauthorized people from accessing it. Use Bluetooth in "hidden" mode - When you do have Bluetooth enabled, make sure it is "hidden," not "discoverable." The hidden mode prevents other Bluetooth devices from recognizing your device. This does not prevent you from using your Bluetooth devices together. You can "pair" devices so that they can find each other even if they are in hidden mode. Although the devices (for example, a mobile phone and a headset) will need to be in discoverable mode to initially locate each other, once they are "paired" they will always recognize each other without needing to rediscover the connection. Be careful where you use Bluetooth - Be aware of your environment when pairing devices or operating in discoverable mode. For example, if you are in a public wireless "hotspot," there is a greater risk that someone else may be able to intercept the connection (see Securing Wireless Networks for more information) than if you are in your home or your car. Evaluate your security settings - Most devices offer a variety of features that you can tailor to meet your needs and requirements. However, enabling certain features may leave you more vulnerable to being attacked, so disable any unnecessary features or Bluetooth connections. Examine your settings, particularly the security settings, and select options that meet your needs without putting you at increased risk. Make sure that all of your Bluetooth connections are configured to require a secure connection. Take advantage of security options - Learn what security options your Bluetooth device offers, and take advantage of features like authentication and encryption." As I mentioned in an earlier post today, Microsoft introduced Windows Azure, described as "Window in the cloud", at PDC 2008. Azure was introduced by Microsoft CTO (Chief Technology Officer) Ray Ozzie in the keynote address, reproduced below from Microsoft Press Pass. Bill Pytolovany reported in live from PDC but couldn't tell us anything he learned in a sneak preview about Windows 7 due to confidentiality. I have been following Bill's TweetGrid which includes Tweets tagged #PDC, #PDC08 and #PDC2008 as well as Bill's reports. Ed Bott, on the other hand, provided a report on the Seven questions Microsoft won’t answer about Windows 7. Based on Long Zheng's Windows 7 (M3) pre-beta features detailed in privacy statement, however, it would appear the answer to Ed's first unanswered question, "How many versions of Windows 7 will be available? ", it seems we can expect to see at least three if not four. The privacy statement references Windows 7 Enterprise Edition and Windows 7 Ultimate Edition. Adding at least one lower-cost personal version (i.e., Windows 7 Home Basic Edition), we can speculate there will be at least three versions. Will there also be a Windows 7 Home Professional? As reported in The Register, a "proof of concept" of new vulnerability has been reported for the Google Chrome (Beta) browser which allows attackers to impersonate websites of groups such as the Better Business Bureau, PayPal or even Google. According to Google, the development version Dev Release: 0.3.154.6 addresses the vulnerability. Reminder: Beta software should not be used in a production environment. Since I cannot get the live streaming to work (must be company firewall), I have been following the “All-star bloggers” group liveblogging at PDC 2008. A major release announced at PDC2008 is Windows Azure, a cloud-based service. "The Azure Services Platform is an industry-leading move by Microsoft to help developers build the next generation of applications that will span from the cloud to the enterprise datacenter and deliver compelling new experiences across the PC, Web and phone." Unfortunately, my lunch break is over so I will have to catch the re-run on Channel9. It is Monday morning and the weekend is already a distant memory. You either managed to take some deserved R&R time, avoiding even the most mundane of tasks or your weekend was packed with family activities, leaving no time for those same mundane tasks -- like checking your computer for needed security updates. Although keeping your computer software updated has been included in previous posts, in view of the seriousness of the recent Out-of-Band Critical Update MS08-067, please consider this additional information. There is NO patch for operating systems that have reached "end of life" support. That means that only Windows 2000, XP, Windows Server 2003, Vista and Windows 7 (Beta) can be patched. Note further that on Windows 2000, XP, and Windows Server 2003 systems, the code can be run without authentication. This is not the case on Vista (or Windows 7 Beta) where authentication is needed. There are no visual effects informing about the infection. It has been confirmed that the exploits can download a malicious .exe automatically. The most likely methods being used are drive-by downloads and fake codec Web sites. If your schedule will not accommodate the live webcasts, the Keynotes will be on Channel 9 about 24 hours after the live presentations. In fact, Channel 9 already has a lot of material available. Just click on the PDC08 tag: Channel9/tags/PDC08. See the full schedule at PDC2008 and follow the “All-star bloggers” group liveblogging at PDC 2008. Do you "Google"? According to Security Garden blog analytics, over 90% of visitors who come here as a result of search results, arrived via Google search results. Such overwhelming results leads to the tip today being a two-for-one! 1) If you see a warning as illustrated below in Google search results, pay attention and, by all means, do not go there. Even if it is a site you have been too before and it was "perfectly safe" does not mean that it is now. It may be the site or the host server that has been infected. Additional information is available in Malware? We don't need no stinking malware! 2) The second tip for today is to exercise caution with Google's "Sponsored Links" which can lead to malicious sites and infections. Microsoft MVP Mike Burgess demonstrates what he regularly finding in Is Security overwhelmed by Malware? Is Security overwhelmed by Malware? With PDC2008 ready to enthrall techies from around the world, particularly with the sessions on Windows 7, a new Microsoft blog has been rolled out, The Windows 7 Blog for Developers. As the title indicates, the blog is devoted to developers. The intent is for it to be a “one stop shop” on how developers can use Windows 7 features in their application. Expect code samples and demos showcasing some of Windows 7’s new features. The purpose is to highlight the Windows 7 development story. For IT Professionals focused on Windows Client, you will want to keep tabs on another new blog, the Springboard Series - The Resource for Windows Desktop IT Professionals. Although not completely focused on Windows 7, I would expect to see it covered as well. The goal is to provide information and help on the latest guidance, tools, and resources available for the Windows Client. The two new blogs will have their work cut out for them in order to captivate their respective audiences to the extent that Engineering Windows 7 has been doing. Mike Nash, Corporate VP, Windows Product Management, provided an update regarding Windows Vista Service Pack 2 (SP2) Beta in the Windows Vista Blog. Windows Vista SP2will be available for evaluation next Wednesday, October 29, by a small group of "Technology Adoption Program" customers. Windows Vista SP2 adds Windows Search 4.0 for faster and improved relevancy in searches. Windows Vista SP2 contains the Bluetooth 2.1 Feature Pack supporting the most recent specification for Bluetooth Technology. Ability to record data on to Blu-Ray media natively in Windows Vista. Windows Vista SP2 enables the exFAT file system to support UTC timestamps, which allows correct file synchronization across time zones." The complete report is available at Windows Vista Service Pack 2 Beta. Additional information is available for IT Professionals in the Springboard Blog at First Look: Windows Vista Service Pack 2. As frequently happens when reading one article, I followed a link from that article to the National Cyber Forensics Training Alliance where I eventually ended up at the Internet Crime Complaint Center (IC3), a partnership endeavor with the FBI. I don't suppose that it surprises regular Security Garden readers that this path led to the . . .
As stated at IC3, "Internet crime schemes that steal millions of dollars each year from victims continue to plague the Internet through various methods." The IC3 resents a set of "preventative measures that will assist you in being informed prior to entering into transactions over the Internet." I received a link to another helpful document from my friend Eric the Red at LandzDown Forum. This is particularly timely for parents considering investing in a family gift for the approaching Holidays. Follow the simple steps for configuring your Windows Vista computer accounts, updates and more in the SANS Reading Room document, Windows Vista: First Steps. This illustrated guide is ideal for the home user. Critical Update -- Did You Reboot? It is not always a critical security update that requires a restart when installing Microsoft updates. The reason for the restart is that some updates require access to files currently in use. In order to avoid a conflict when installing the update, the a prompt is provided for a restart. The installation can then be made without conflicts. Based on the above explanation, when the update fixes a security-related issue, your computer is not safe until you reboot and the update is installed. The Microsoft Update Product Team provides a complete explanation of Automatic Rebooting, Update Deadlines, and Policies to Change Automatic Rebooting Behavior in Windows Update and Automatic Reboots. Update Note: Edited to add additional Microsoft References from the Windows Update Team, the MSRC Ecosystem Strategy Team Blog and the Malware Protection Center Blog. Does Webroot Need PR Help? 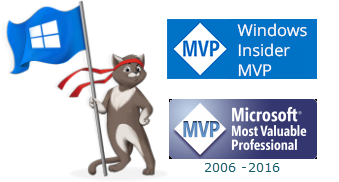 Bill Pytlovany (WinPatrol) Microsoft MVP Awardee!